The 27th edition of Barcelona Bridal Fashion Week, will take place in a new location at Fira Barcelona Exhibition Center located in the city. 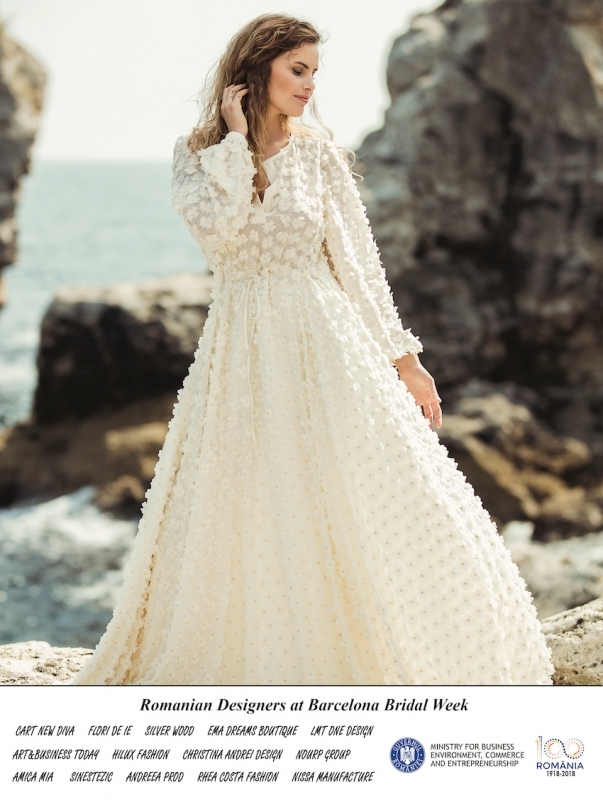 Among the 250 brands exhibiting at this bridal edition, the Romanian Designers District will present for the fifth consecutive year at this fair. The Romanian Designers Association - Bucharest Fashion District will showcase 14 Romanian brands at the Novia España International Bridal Show, between the 27 and 29th April. The Romanian Government supports the associations’ participation with the "Export Promotion Program" which helps promote Romanian brands. Bucharest Fashion District Association promotes established and emerging Romanian brands, manufacturers, and designers that focus on wedding, cocktail and evening dresses, as well as shoes and accessories. Participating brands include Lavinia Lascae, a leading manufacturer of wedding dresses, as well as MIAU by Clara Rotescu and Rhea Costa, the dresses are sold throughout the Middle East. Including, Nissa, LMT One Design, Cart New Diva, Sinestezic, Ludmila Corlateanu, Divine Atelier, Otilia Brailoiu, Alda Ciceu, Christina Andrei and Flori de Ie, will exhibit their latest collections. Ema Dreams Boutique (accessories), will exhibit their latest innovate designs.